Nestled in between the Bridge and the Wireless Transmitter Operator was the ships Chart Room. 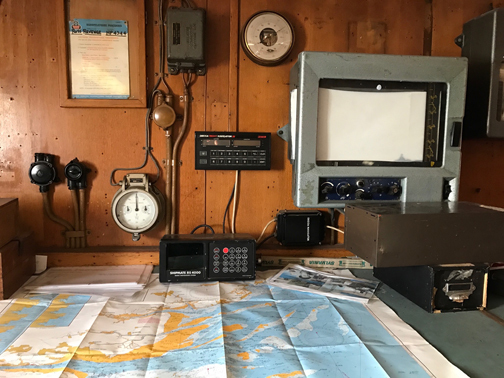 The map shown on top of the chart desk was the one used for navigation when Radio Caroline was broadcasting from the Knock John Deep and surrounding areas. The drawers below the desk still hold orginal Freyr and Ross Revenge navigational maps.